This Summer on July 20 – 21, 2013, I will be teaching a workshop in Denver, Colorado in collaboration with the Guild of BookWorkers Rocky Mountain Chapter & Book Arts League. I’m looking forward to introducing my Flex Spine Album structure and getting folks to think in new ways about book structures. Set aside for a moment your traditional notion of a bound book and start from a different perspective: consider what a codex is, what it should be able to do, and how it should function. How would you like to be able to interact with it? How should the STRUCTURE work in order to best integrate with and present your CONTENT? During this workshop we will learn a new binding technique that was developed as an answer to some of these questions. The Flex Spine Album is a structure where thin, rigid rods provide the ‘backbone’ for signatures, folios, or even individual pages. 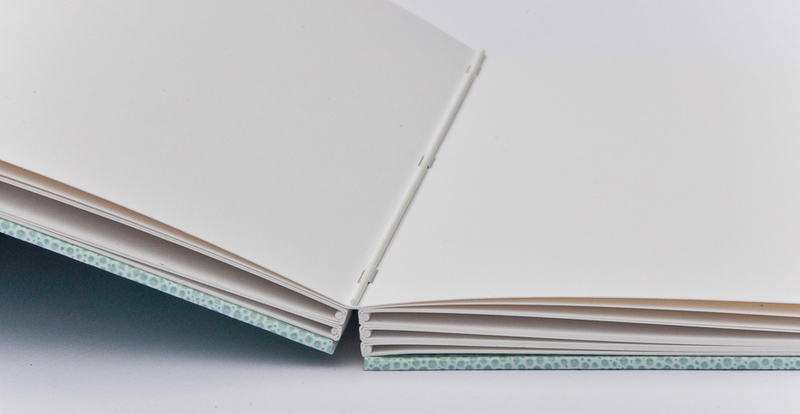 The signatures are then woven together with a fine band in order to create a very stable and flexible binding that does not require adhesives or a lined spine. 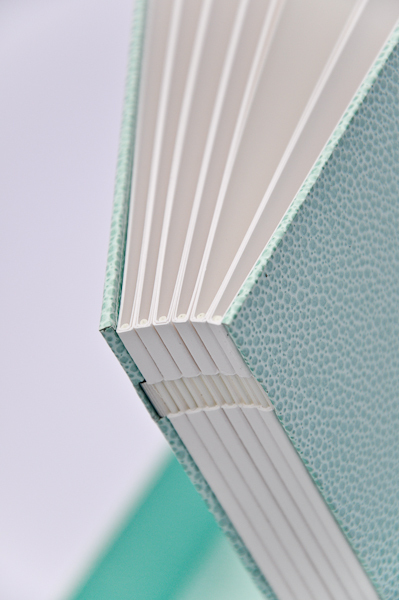 The Flex Spine Album functions with an elegant ease, is very versatile and can be adapted to fit many different requirements. Aside from being an ideal album structure, it is also a wonderful structure to accommodate heavy printmaking papers, or for the artist who works with collage and mixed media. For workshop participants: Click here for the materials list!